Unsurprisingly, Pinocchio has remained a steady treat to watch, and is currently the only drama I'm live-following. As I mentioned in my initial review, this is a story that clearly has its tracks laid out and is riding at a steady, engaging momentum. I'm not at all surprised it won the ratings battle, and I expect the ratings to continue to grow. I'll say though that the romance is still not terribly compelling for me, and is actually only a small portion of why I'm watching. I'm much more invested in the Choi family (love Dad and Grandpa) as well as the new reporter arc and revenge backstory. There's so much good tension and rich characterization all around that to be honest the romance feels like a throwaway drama necessity, which adds some interesting angst but mainly feels like a too-familiar side dish. What I love about this writer is how she manages to fill out a story. For once, the subplots in a drama are actually interesting and function to advance the story. Yes, it's true that they're still essentially "filler" but I get that with 16 episodes you can't exactly focus purely on the angsty love drama, and in fact this serves as a nice reprieve from all that. What I'm referring to is the ahjumma mystery that closed out episode 6, and which I'm personally dying to find out what happened. Maybe it's because I'm not that interested in the Dal Po - In Ha dynamic to begin with, but I didn't mind watching an episode full of reporting hijinks, as well as the greater focus on our two second-leads, who have me interested. The reporter profession also feels fairly fresh to dramaland, and is turning out to be far more effective than I initially believed possible in framing Dal Po's backstory and end goal. I loved the debate sequence at the close of episode 4, which I thought really elevated the conflict between In Ha and Dal Po in a believable and compelling way. As expected, the Pinocchio link with his father's death is rearing its head, and I was struck by his point on how a Pinocchio should never become a reporter, because telling the "truth" without a filter of doubt can be irreparably devastating. While I understand that the ahjumma mystery is meant to highlight how a Pinocchio like In Ha can be a good reporter by not letting go of niggling doubts, I still fall on the YGN side of the ratings battle. I'm sure MSC will win this round to prove this point, but I'm firstly much more on the Dal Po than In Ha side of the overall war, and secondly really not a fan of In Ha's mom. While I've generally come around to liking In Ha as a character, there's still a block that keeps me from actively rooting for her. I think a lot of it is still connected with my general dislike of Park Shin Hye (even though I'll agree this is her best role yet, not that there's much competition from her previous roles), but I find In Ha too cutesy and immature. While it's refreshing that she's come around so early to her feelings regarding Dal Po, it feels disingenuous to see her shy and nervous in one scene, then screechy and excessively whiny in all of their home scenes with Dad and Grandpa. Here, it feels like she likes him one minute, then completely forgets about that the next. The cutesiness is also grating after a point, to where I just want her to freaking grow up and act like the 27-year-old she supposedly is. Speaking of, the time gap seems unnecessarily large here. Why did we go eight years from the high school flashback? It just feels like such a long time devoted to nothing, even though I understand we had to wait for college and a few years of unproductive job hunting. I'm more disappointed that Dal Po by this point has sat around doing nothing but mope about in lovesickness (and in ugly get-up...) for almost 15 years. I just expected better from him, and while I'm glad he's finally acting on his goals, it sure feels like a sudden and unbelievable switch at this point. I'm also really not convinced that it took 15 years for In Ha to realize her feelings for him. There's a limit to self-delusion, and what have the two of them been doing in terms of dating other people up until now? This is a lot of why I don't fundamentally buy their romance. Moving on to the second leads, I'm surprisingly interested in both, though Lee Yubi definitely got the short end of the stick in terms of screen time and character interest. I'm a fan of her as an actress, so luckily it doesn't take as much for me to be won over to her characters, but the story's going to have to start giving her something besides yawn/crying to work with if I'm to stay invested. 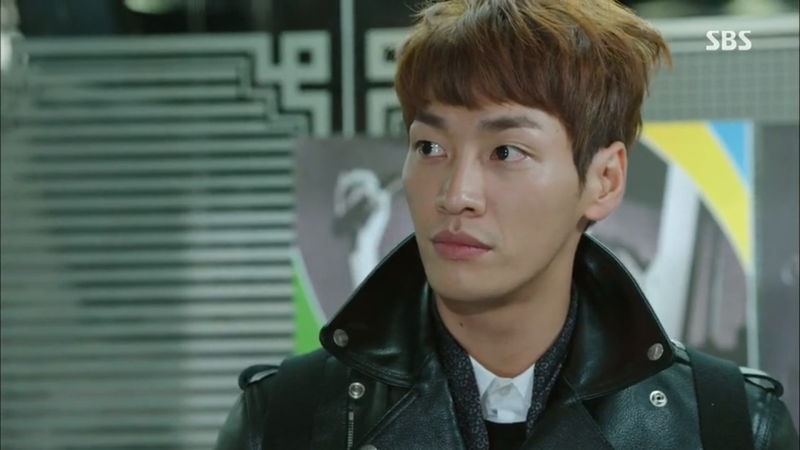 Second-lead guy got lucky playing a quirky-crazy chaebol who's too hilarious to not like. I've never been a fan of this actor (he sounds like a douche in real-life), though I recognize he's getting more roles and I'll probably have to start getting used to him. I'm not interested at all in seeing him make Dal Po jealous (that feels too predictable and also cruel to Dal Po), and would instead be more interested in the other way around, with Lee Yubi's character hopefully developing more depth and presenting a realistic love rival. I love Dal Po's reporter boss, and am thrilled someone knows the truth so early on. The Hyung murderer arc is a surprisingly tragic development, and knowing this writer this is the plot piece that'll be milked for the duration of the drama, so we probably shouldn't count on a reunion anytime soon. I'll say that I want Dal Po to share his real identity with In Ha and everyone else as soon as possible, especially as I'm a much bigger fan of his real name, Ki Ha Myung, than the rather country-boorish Dal Po. 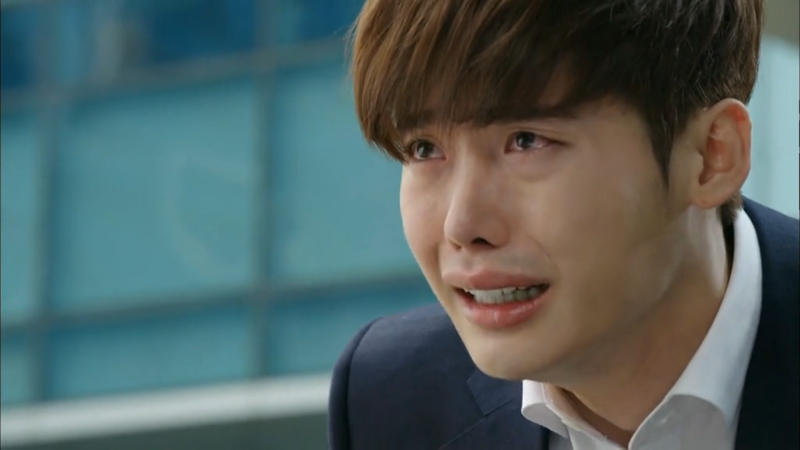 I want him to regain his past and start living his life outside of the kind shelter the Choi family has provided. They're wonderful people, but it's clear they've also been the main barrier in his reconciliation with his past, and he needs to be able to move beyond them if he hopes to reveal the truth and become his own person.